When I first met Namrata Kini som years ago, I was struck by her friendliness and positive energy. Today, Ia��m rather more impressed by her. In the last few years, she has done what we all seek to do: slimmed down, become fit and found what she wants in life. Not that Namu, as shea��s known, led a deprived life earlier. She has a wonderful husband, two lovely children and a thriving business in Kynkyny, the art gallery which I love for its friendly vibe and accessible art. a�?It grew organically, and on the way, I met inspiring people, many now my friends,a�? she says. Her very first motivator was her run in the Boston marathon for a fundraiser while living in the US. a�?It was one of those life changing moments,a�? she recalls. a�?For the first time I committed to something and trained six months for it. I learnt so much about myself, my limits, my abilities. This empowered me for my business later.a�? Her first challenge was her foray into talk shows, Conversations with Namu Kini, where she interacted with women achievers (Kalki Koechlin, Usha Uthup in Kanjeevaram with glittery sneakers) before a live audience. a�?I wanted to share my experiences with inspiring people Ia��d met. On the show, people came and discussed meaty stuff. Ushaa��s story about her honeymoon for instance, was wonderful and hilarious.a�? Next on her agenda was her aim to a�?get into my pre-pregnancy jeans.a�� a�?Ia��d crossed 35, had two kids and put on 30-kgs a�� my second pregnancy saw me at 83-kgs at nine months. Though I managed to lose weight, those last 10 kilograms were tough.a�? 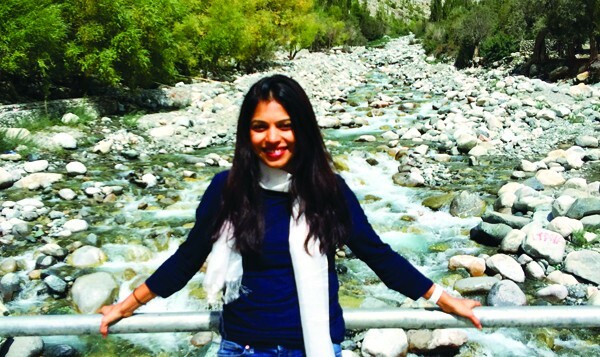 Namu set herself a deadline: to lose 12-kgs over four months. She worked with professionals, a worthwhile investment, she says. A personal trainer came thrice a week, and a nutritionist, Shalini Manglani advised her on two-hourly healthy meal plans. a�?Other days was cardio each morning and a 30-minute run every evening a�� psychologically not a biggie. I loved food and didna��t want to compromise on vacations, dinner invitations. So I realigned my passion for food into one for healthy food. I thought ahead for my treats a�� dark chocolate that I loved rather than jalebis and chips. I promised myself I wouldna��t cheat.a�? She started losing weight. a�?A couple of weeks into my plan I started blogging my experiencesa��not just what was on my plate, but what was on my mind.a�? The response to her blog was overwhelming. a�?Many people joined me including several childhood friends. My plan a�� I dona��t like the word diet a�� was tight but doable. Losing weight is 80 per cent food, 20 per cent exercise.a�? Today, her persistence has paid off. Namu has got into her pre-pregnancy jeansa��and more. Shea��s cycling with husband, professional cyclist Vivek Radhakrishnan, on the cycle he gave her three years ago. a�?We cycle on the citya��s outskirts, Doddballapur, Rajankunte, and have just completed a challenge-filled Bengaluru to Munnar Tour of Nilgiris over the steep Kalhatty ghats before the New Year. And a magical five-day cycling tour around Burgundy last year. Cycling is brilliant a�� therea��s breeze, open spaces, clean air. You connect with a different India. I love it and ita��s a workout too!a�? Meanwhile, friends call up for advice or a motivational chat and Namu is ever ready to help. a�?Ia��m now in control of my life and thata��s given me so much confidence. They say every milestone is a stepping stone a�� so true!a�?